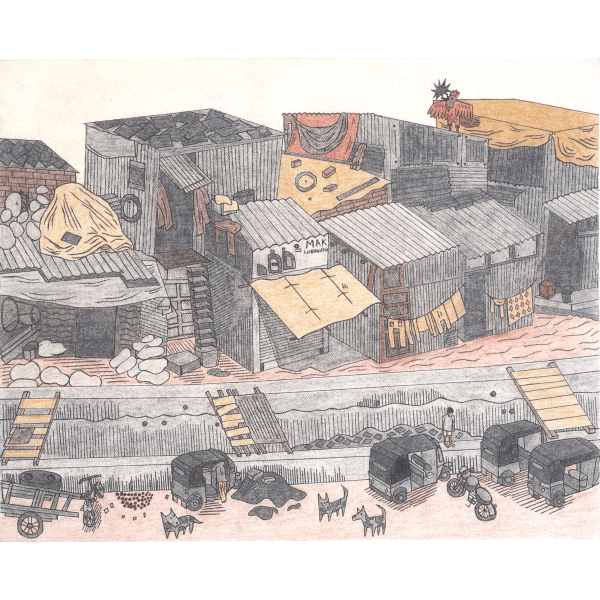 This was a series of fine art illustrations created using a mix of media (pastels, graphite pencils and fine-liners). 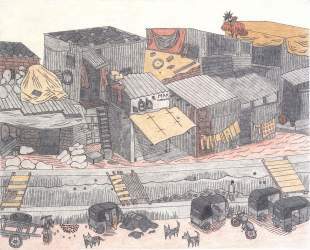 The series was created on sheets of cut out canvas each approximately the size of a landscape piece of A2 paper. 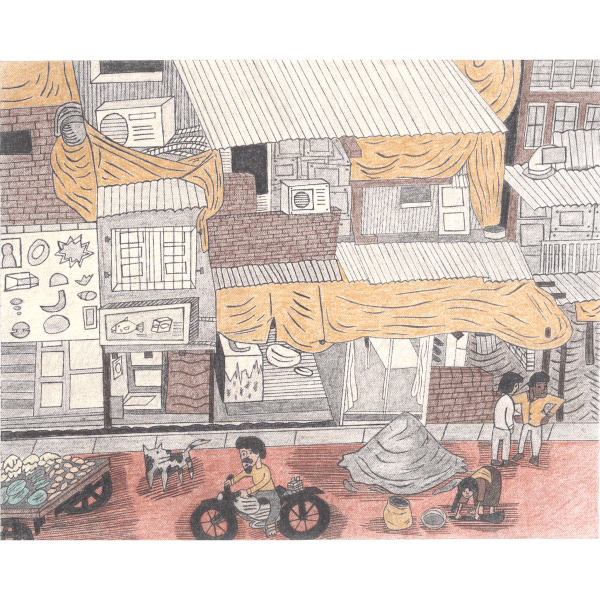 The series was an exploration of the themes of Indian modernity and poverty that occurs consequentially and runs in parallel to each other. 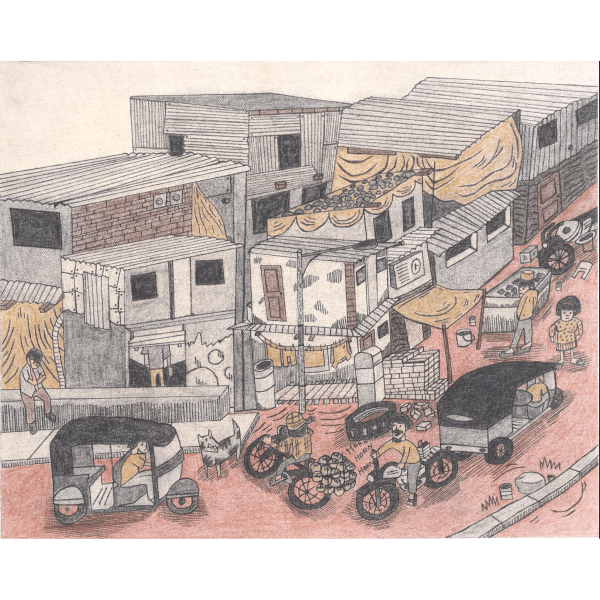 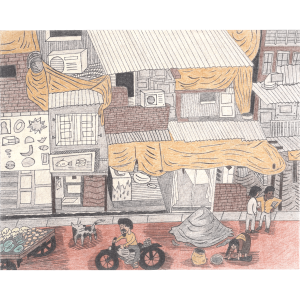 The illustrations were meant to elevate the status of the dharavi slums found in bombay positioning the people that live in them as equal members of society who are soon going to emerge into Indian modernity.